Looking for Tablets? 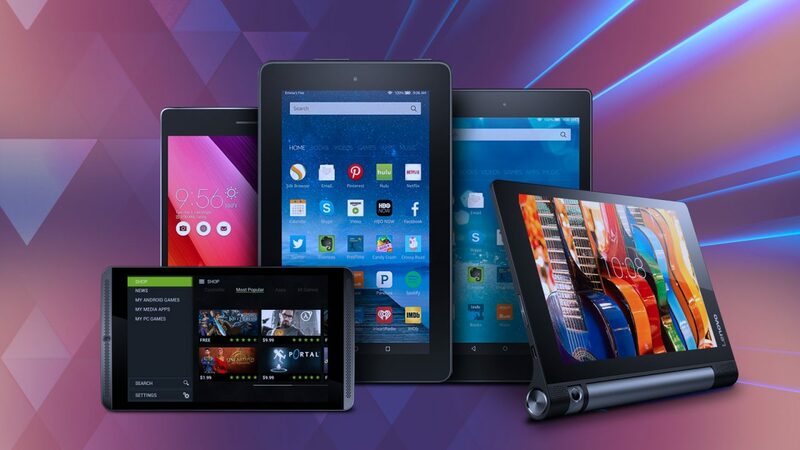 Here we will help you find best budget tablets of 2016. There are plenty of no-name brands out there, but as with most tech, you can’t buy one based on specifications alone. Android is a great operating system and Quad-core CPUs and “high definition” screens might sound great, but what counts is how they perform in the real world. That’s why we are here, we test and asses battery, performance and other things which you cannot do by looking at an ebay listings. When you are interested in buying tablet, first thing comes in mind ‘screen size’. Now, Are you looking for portable tablet with a 7in screen, or do you want something larger. In general a 7-8″ screen is best 9-10″ screen is good if you only need to carry it around occasionally. Look for an IPS screen, resolution isn’t as important as you might think. Pixel density is, you need fewer pixels on a smaller (250 pixels per inch). For camera check which tablet has the least worst camera because tablet cameras are relatively poor compared to the best smartphone s. And don’t go for GHZ and RAM numbers it’s easy to be fooled into believing a tablet will – or won’t – perform well based on numbers alone. Nvidia shield K1 is not exactly like the original Nvidia tablet but probably the same. The specs and design are pretty much the same with both tablets, aside from the addition of a rubberized surface next to the speakers and brushed metal lettering on the back of the K1. It just lacks charging cable, wall adapter and stylus is gone in K1. With that said, this tablet is now only $200, which makes it not only one of the best Android tablets out there, but also one of the most affordable. It has an 8.0-inch LCD display with 1920 x 1200 resolution, 283 ppi and 2.2 GHz quad-core NVIDIA Tegra K1 processor. With 2 GB of RAM and 16 GB of on-board storage, microSD expansion up to 128 GB. Rear camera is 5 MP and so is the front. It’s running Android 6.0 Marshmallow. Looking for a fast performance tablet, Galaxy Tab it is. It has high resolution (2560 × 1600) with screen size 8.4″. Samsung and Galaxy smartphones lovers this is the tablet for you. The most affordable variant in the Tab S, might not have the polished aesthetic found in the Galaxy Tab S2 , but being a bit outdated makes this an excellent tablet for those with less cash on hand. Running Android 6.0 marshmallow, 1.9GHz quad-core + 1.3GHz quad-core and 3GB of RAM. Available with 16GB internal storage and microSD support. Rear camera is 8MP and 2.1MP front cam. Asus fans here! Its an Asus affordable MeMo Pad Android tablet. In this new ASUS ZenPad S 8.0 you’ll find an 8-inch IPS LCD screen with a quad-core Intel Atom Z3560 processor running at 1.8 GHz with 2GB of RAM. There are few variants of this tablet with 8.0-inch IPS LCD display (2048 x 1536) resolution, 320 ppi. You may find 2/4 GB of RAM 16/32/64 GB of on-board storage, microSD expansion up to 128 GB. So, you can buy one of your choice according to the budget. About cameras 8 MP rear camera, 5 MP front. We have a Lenovo tab on our list too, Lenovo Yoga Tab 3 is an 8 inch tab. It has a great design and build quality, exceptional battery life, a near-stock Android software experience, and to top it all off, a very affordable price tag. Details specs are 8.0-inch IPS LCD display with 800 x 1280 resolution, 189 ppi. A 1GB of RAM and Quad-core 1.1 GHz Qualcomm Snapdragon 212 processor. Internal memory 16 GB expandable up to 128 GB. An 8MP rotating camer running aAndroid 5.1 Lollipop and 6200mAh battery. If you’re still not satisfied this will do, The Amazon Fire HD series ticks a lot of the right boxes. It’s affordable, with Amazon’s own apps to enhance your user experience. 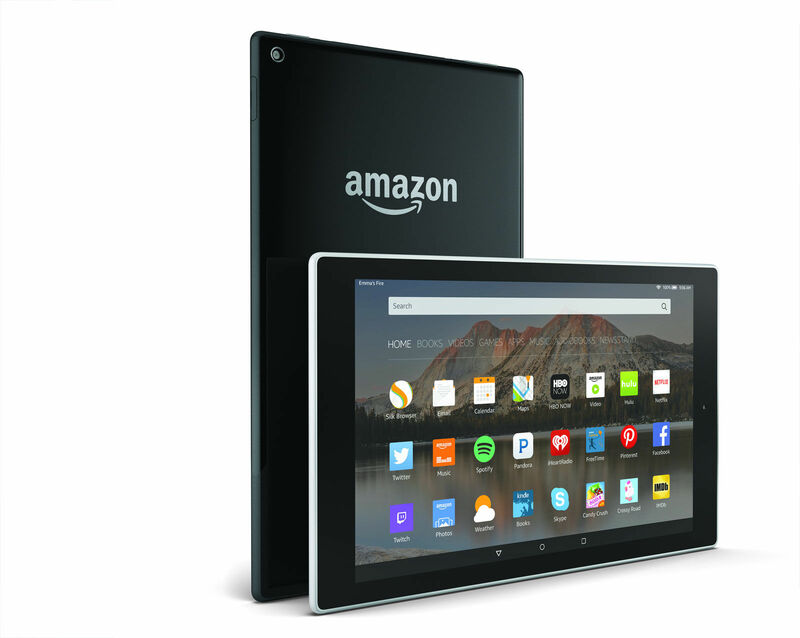 The Amazon Fire HD 6, Fire HD 8 and Fire HD 10, are all amazing tablets, with optional larger internal storage capacities and features, priced at $100, $150 and $200 respectively and different specs.